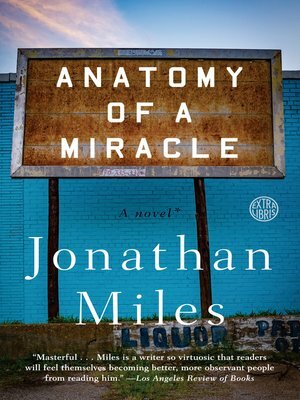 "Funny, bighearted...Miles specializes in giving fully rounded humanity to characters who might elsewhere be treated as stock figures...pitch-perfect." In the aftermath of this "miracle," Cameron finds himself a celebrity at the center of a contentious debate about what's taken place. And when scientists, journalists, and a Vatican investigator start digging, Cameron's deepest secrets—the key to his injury, to his identity, and, in some eyes, to the nature of his recovery—become increasingly endangered. Was Cameron's recovery a genuine miracle, or a medical breakthrough? And, finding himself transformed into a symbol, how can he hope to retain his humanity?